It’s already the end of May, and your CM hoists have already hit the road for shows in your summer season schedule. It’s important to maintain and repair any hoists returning from a show so that the next event runs just as smoothly. 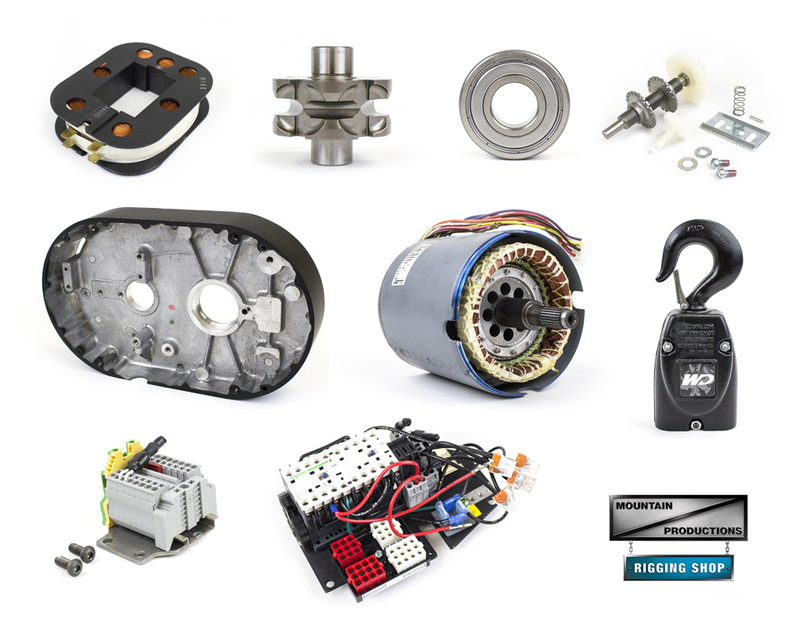 At Mountain Productions, our motor shop is busy year round performing hoist servicing, repairs, and more, and our in-house inventory of genuine CM replacement parts is extremely diverse. One of the goals for our e-commerce website was to provide an easy way to quickly find and order CM replacement hoist parts. We’ve separated, organized, photographed, and documented every component of a Classic Lodestar, Next-Gen Lodestar, and Prostar (including both Small and Large Frame models). You won’t find a more comprehensive and detailed inventory of CM replacement hoist parts anywhere on the web. It’s one of the premiere staging systems in entertainment today, and we proudly offer it as our strongest, biggest, and most capable system in our fleet. 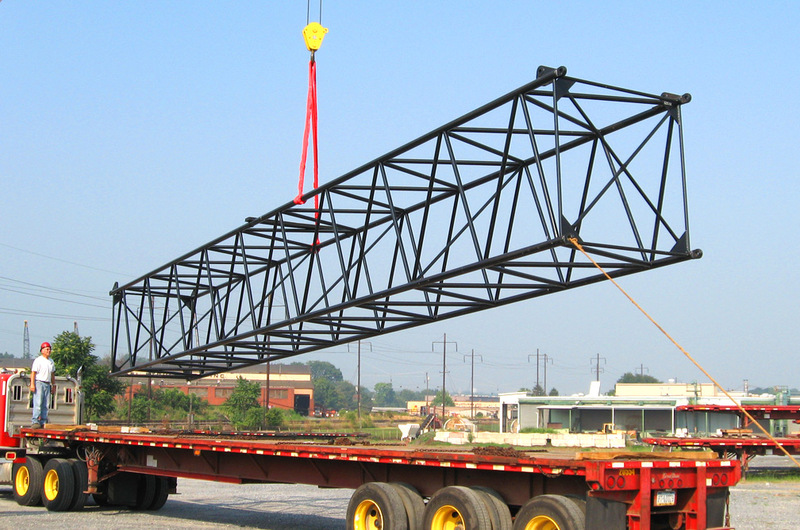 This week’s Staging Spotlight is all about the Mountain Truss System. 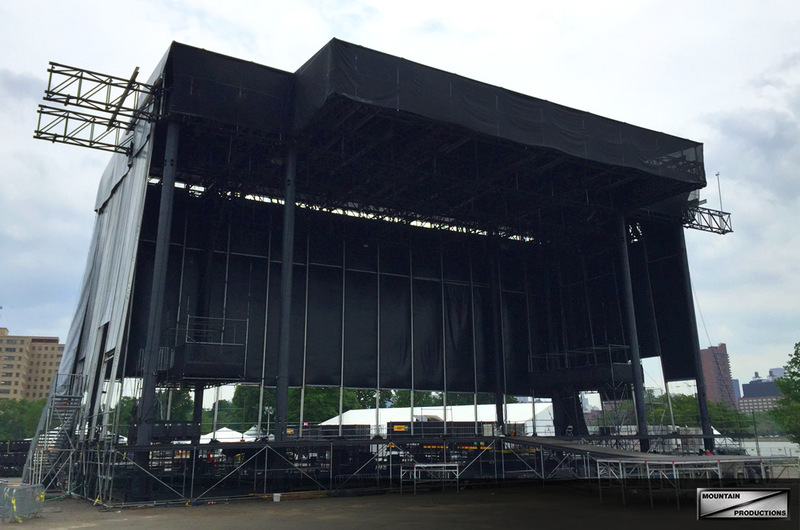 The Mountain Truss is our most recent stage system, adding rigging capacity and features beyond our scaffold and truss tower systems. 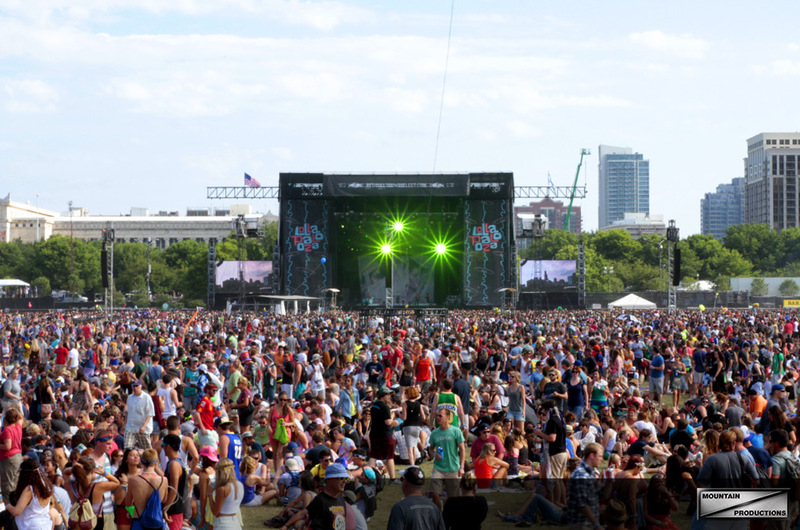 Countless events trust in the Mountain Truss System and its strength each year, ranging from huge multi-day music festivals, to state fairs and high-profile televised events. This structure consists of an 8 or 4 tower design (depending on what size stage you require) and features a completely redesigned roof grid that can hold nearly any size show. 5 cross stage truss spans, a 20’ cantilever and both sound bays are each able to hold 50,000 lbs. The video wings accommodate up to 25,000 lbs each. 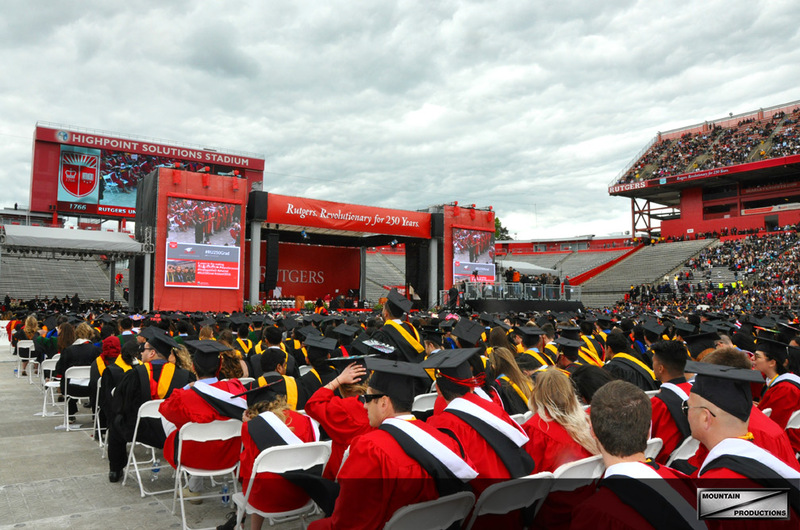 This year, Rutgers University celebrated the graduation of 11,000 students with 40,000 faculty, staff, and attendees packing the High Point Solutions Stadium. President Obama was the honorary speaker of the 2016 ceremony, and delivered a memorable speech to the graduating class. (Watch President Obama’s full speech here) Mountain Productions proudly provided staging, flooring, and additional structures for the event. This is the sixth year in a row Mountain has been involved with Rutgers’ commencement ceremony. 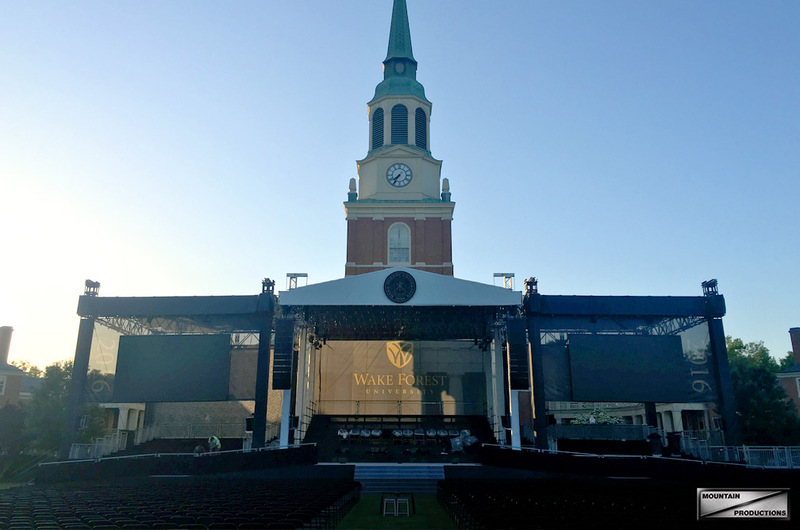 Our next commencement event recap is from Wake Forest, where Mountain Productions provided staging services for the second year in a row. Wake Forest’s commencement ceremonies take place outdoors in front of the beautiful Wake Chapel building. This scenic backdrop sets the mood for the esteemed event, and becomes a part of the entire event aesthetic. Mountain Productions’ built the main stage area with two flanking side stages. 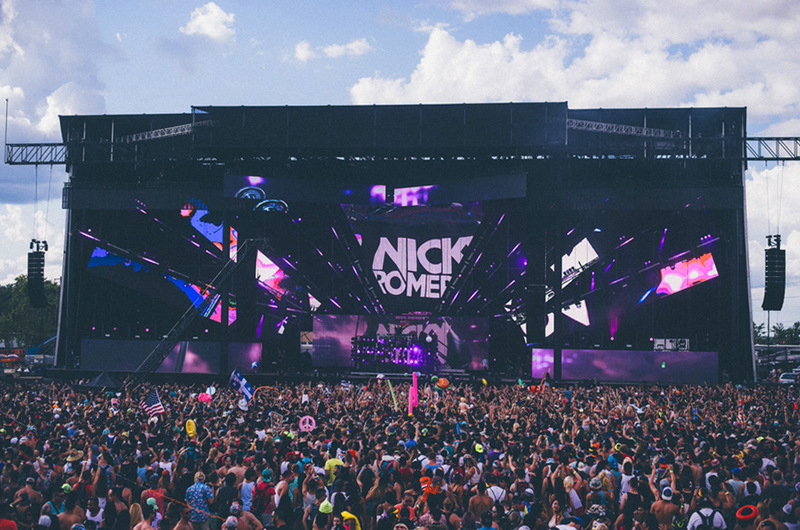 Each stage featured a Thomas Truss roof grid, and the center main stage roof came to a central peak. Venue installation systems are designed to help optimize your venue and make the most out of your arena in terms of ticket sales, labor costs, tours, shows and more. One of the install services Mountain Productions can provide is arena reduction. Using a Mountain Productions’ Arena Reduction System can greatly bring down maintenance and labor costs while increasing your ticket sales and variety of shows your venue can fill. Arena reduction systems are modular solutions involving electric chain hoists, truss and curtains. A reduction system will reduce the size of your venue space, allowing you to bring in smaller scale shows that might skip over your large seating arena space. 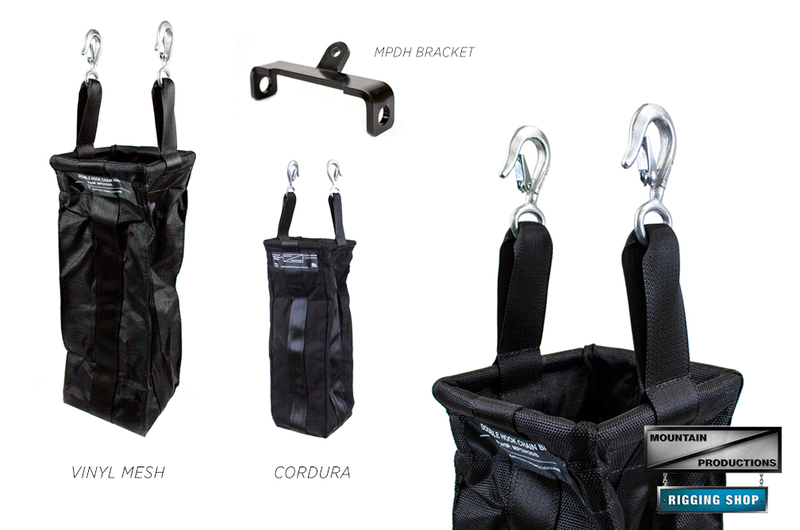 Some of the most popular products on Mountain Productions Rigging Shop are the variety of chain hoist bags we offer. Our in-house softgood shop has been manufacturing chain bags for decades with the support and design from our engineering team. Combined, we have perfected a line of chain bags that fit Lodestars, Prostars, and CM manual chain hoists, along with custom chain bag solutions for specific needs. We all know the importance of first impressions. 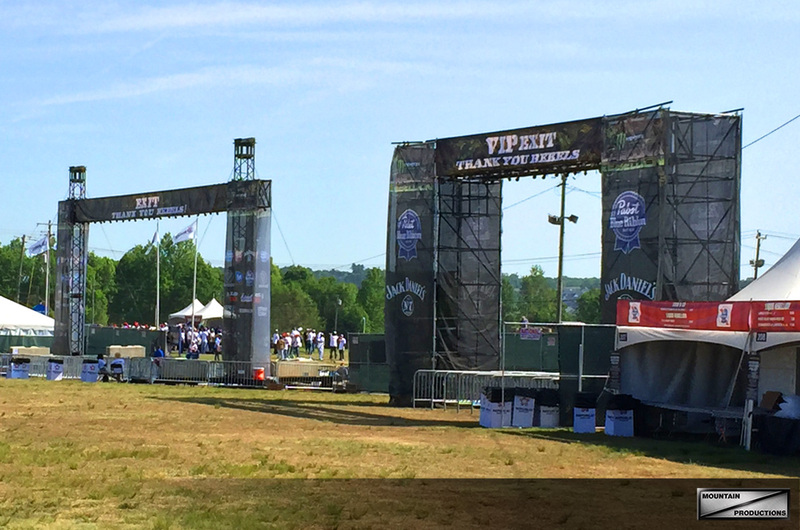 With festivals and outdoor events, custom built entranceways are one of the first things your patron will see and walk through. With cohesive branding and organized entry, your guests will be greeted properly to the experience that you’ve worked so hard to create. Mountain Productions provides different styles of entranceways to accommodate every requirement. One of the entranceway configurations we can build use scaffold towers as its legs. Top trusses or scaffold platforms span the length of the entranceway, and these structures can be built with any amount of towers you need. 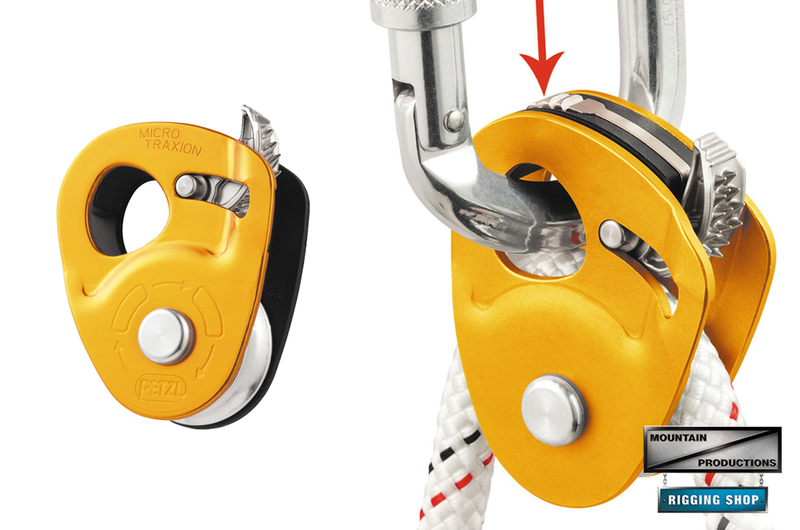 Our featured products are all rope access items from Petzl, one of the worldwide leaders in recreational and professional climbing equipment. We’ve just added the MICRO TRAXION capture pulley, RIG descender/belay, and VULCAN steel carabiner to our online Rigging Shop inventory. Rope access is a highly technical topic that must be learned and trained upon. 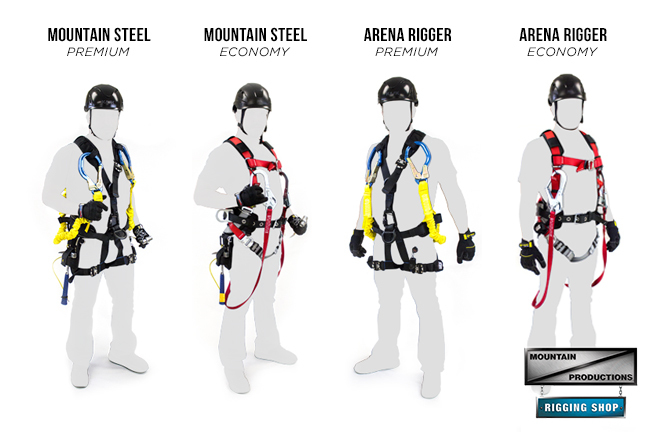 Climbers must have a mastery over rope access techniques, knots, procedures, and the gear that helps them get to the top before using any of these products.